This is good news for Indian Public that the Government launched Namo TV for awareness of 5 years of public welfare schemes and government policies of the Union government. The NaMo TV is now 24/7 live on Videocon and Dish TV. 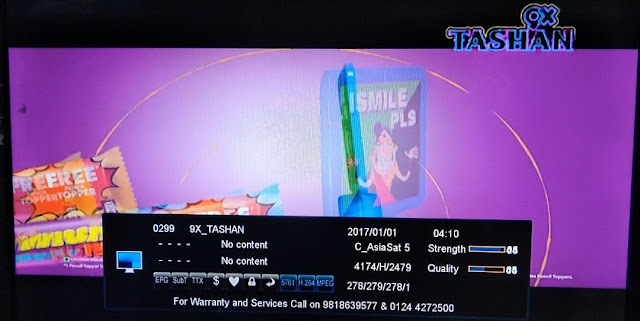 If you are DD Free dish subscriber or own free to air system then you can get this channel by scanning your set-top box. Namo TV channel prepairing to launch for a long time. The NaMo TV Channel was launched after the success of the NaMo mobile app which has gained mazor popularity within a short time. The NaMo TV is available on Videocon and dish TV at 302 and 770 channel numbers respectively. TV5Monde is a French television network, broadcasting several channels of French language programming. Most of its content is taken from mainstream networks in the French-speaking world, notably France Télévisions from France, RTBF from Belgium, RTS from Switzerland, and the Radio-Canada and TVA networks in Canada. This channel is fta from Asiasat satellite. If you have C-band dish antenna then you can get this channel easily by using any fta set-top box. To receive this channel, you need free to air system which include a MPEG-4 free to air set-top box and minimum 4ft (120cm) C-band dish antenna with c-band LNB. You can buy it from your local market, or you can buy online from many online websites like solid website, catvindia & mahamargin etc. If you want to check all free to air channels from Asiasat 7 satellite, Check here. Sony Wah is an Indian pay television channel owned by Sony Pictures Networks. It is targeted towards the audience of small towns and rural areas in the country, and its programming consists of Hindi-language movies and southern Indian films dubbed in Hindi language. It was a free to air channel on DD Free Dish and C-Band platform but it converted it into pay channel on the channel after 29 December 2018. This channel is temp fta from Asiasat satellite. If you have C-band dish antenna then you can get this channel easily by using any fta set-top box. Sahara Filmy is an Indian Hindi language movie channel based in Mumbai, Maharashtra. It is owned by Sahara One Media and Entertainment Limited and was launched on 12 February 2006. Sahara Filmy channel is free to air from Asiasat 7 satellite at position 105.5. Channel [V] is a Southeast Asian pay television network owned by Fox Networks Group Asia Pacific, a subsidiary of 21st Century Fox. It was launched by what was back then Star TV to replace MTV's original Asian operation. Al Jazeera English is a Qatari pay television news channel owned and operated by Al Jazeera Media Network, headquartered in Doha, Qatar. It is the first English-language news channel to be headquartered in the Middle East.